Applying for a mortgage can be a daunting task and with the self-certification mortgage no longer available, the self-employed can feel more vulnerable than employees. However, in reality, a self-employed person now has access to the same mortgages as an employed person. Some lenders may market themselves as specialising in mortgages for the self-employed but most will routinely grant the required funds to self-employed people, so in most cases there’s no need to use a specialist. For sole traders, the banks will look at what profits the business makes and in the case of partners, their share of the profits. For directors of limited companies, the banks will either be looking at the salary they take from the company and the company’s profits, or they will look at the salary and the dividends they receive. Nevertheless, a lender will want to see a profitable business for the period for which they have requested evidence. They will be looking for a business that has steady or growing profits; not profits that are dramatically fluctuating from year-to-year. Banks may also look at the balance sheet in the business’ accounts. If assets exceed liabilities, this can be a tell-tale sign of a business that is in a strong, healthy position. If you don’t have the number of years of accounts or tax returns behind you that you need, all is not lost. Some lenders may be prepared to look at contracts and jobs you have planned for the future. They may also be more confident if you’ve only just left employment in the industry your business operates in. Unless you’re trying to sell your business, we tend to drive down profits to minimise our tax liability. However, just be wary the impact this strategy can have if you want to get a mortgage. Make sure your paperwork is in a decent condition. Handing over dog-eared or crumpled paperwork will make the bank think you’re disorganised and unprofessional. Banks aren’t fond of draft figures, so if you can, get everything finalised and filed before applying for finance. You will also need to make sure that the accounts or tax returns are as up to date as possible; and certainly, the accounts should be no older than 18 months. Remember a bank is likely to look at your personal circumstances and that of the business, so make sure you’re up to date with payments for loans and credit cards etc. Clean up your credit rating and save! Whether you’re employed or self-employed, a clean credit history is always important and the bigger the deposit you have, the better your chances of being successful, the broader the range of mortgages available to you and potentially the lower the borrowing costs. If you already have or have had a mortgage in the past and you had a good track record, the banks may be more favourable, plus you may also have some equity behind you. Whatever your employment status, a mortgage broker or independent financial adviser can be incredibly useful. They can walk you through the process, help with the application and find mortgages that you wouldn’t come across yourself. They may also have some experience of which lenders might be more flexible if business owners don’t have the required number of accounts or tax returns for example. Need more information? Call your local TaxAssist Accountant today on 0800 0523 555 or submit an online enquiry here. The SA302 is essentially your tax computation, so it will show your taxable income and how your tax liability has been calculated. HM Revenue & Customs (HMRC) used to post a SA302 to you on request, but they have recently withdrawn this service. Instead, taxpayers will need to login to their personal tax account and print the SA302 and the Tax Overview themselves. If you’ve lost your log-in details, it can take seven days to replace them. If you’re new to HMRC’s online services, it can take up to 10 days to activate the service. HMRC is also increasingly using 2-Step Verification. This is an additional security feature which helps to prevent unauthorised access of someone’s personal tax account, even if they have their User ID and password. To log-in to your personal tax account, you will need your log-in details and HMRC will send a one-off access code via text message to your nominated mobile phone number that you will need to enter. Some lenders insist that accounts are prepared by an accountant and sometimes stipulate what qualifications they must hold, so bear that in mind if you’re looking to appoint someone to help you. The provision of financial advice within the mortgage industry is regulated, but we can recommend mortgage brokers and independent financial advisers to you such as John Charcol. Your local TaxAssist Accountant can support you with all your tax and accountancy needs, including providing the lenders with the information they need. 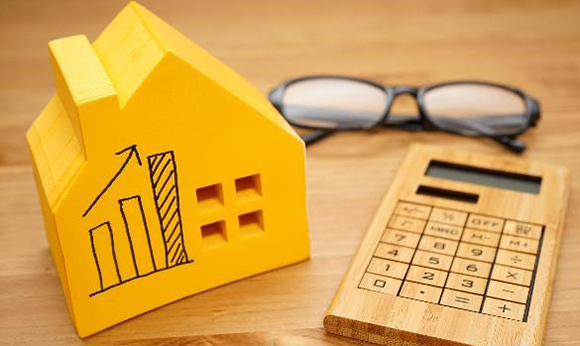 This piece has been written in conjunction with Mortgage and Protection Consultant Randeep Sodhi from John Charcol a national firm of independent mortgage advisers. John Charcol is a trading name of John Charcol Limited and its Appointed Representatives. John Charcol Limited is authorised and regulated by the Financial Conduct Authority. The Financial Services Register number is 665649. Registered in England No. 9157892. Registered office address for John Charcol Limited is 5th Floor, Cutlers Exchange, 123 Houndsditch, London, EC3A 7BU. The FCA does not regulate some investment mortgage contracts. Calls may be recorded for training and monitoring.